Dentist Qualifications, Dr. Rashmi Shankar, D.D.S. Dr. Rashmi Shankar, D.D.S. 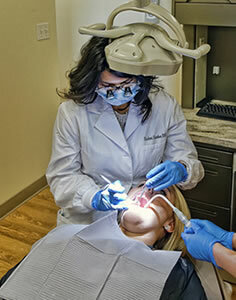 has been in dental practice for 10 years, having graduated from USC Dental School in 2004. 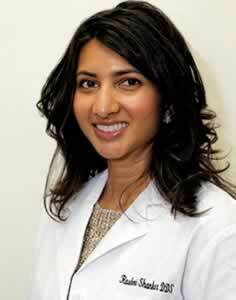 Dr. Shankar grew up in the high desert and enjoys serving members of her local community in her dental practice. Dr. Shankar's motto is to "Provide patients with a pleasant dental experience". She inspires patient confidence and trust through her patient-centered approach to dental care, and excellent dentistry skills. Dr. Shankar has the training and expertise to help you improve and maintain good oral health, and provide you with the best possible dental treatment options including preventative and comprehensive dental care. Dr. Shankar believes in educating her patients to help them make better informed decisions about his or her own dental health. She has written numerous articles on various oral and dental health topics as part of her focus on dental health education for patients. To schedule a dental appointment, contact Amethyst Dental. American Dental Association (ADA) is the largest non-profit dental assocation in the nation. The ADA offers science-based information on oral health care topics, and is a leading source of oral health related information for dentists and their patients. California Dental Association (CDA) was founded by dentists and is committed to improving the oral health of all Californians by providing education and resources to California Dentists so they can best serve their patients. Tri-County Dental Society (TCDS) serves members of the dental community in Riverside County, San Bernardino County, and eastern Los Angeles County. American Academy of Implant Dentistry (AAID) is a professional association of dental implant dentists and a leading authority on dental implants.